They say there is no such thing as a stupid question. In our more than 20 years in the tree care service, we’ve been asked some… well, interesting – to be polite – tree questions. For instance, like the phone call we received from a woman who asked if we could remove a member of her family tree. Not really our area of expertise, lady. Sorry. At any rate, we compiled a list of the most common tree questions that our arborists routinely get asked along with our most insightful answers in two parts. We hope this will give you some practical guidance, clear up any misconceptions you may have, and help you to better appreciate the awesomeness of trees. Everything you never knew you needed to know about trees. How do select the best tree for my yard? There are several factors to consider when selecting trees to plant. You need to ask yourself these questions: Is the location sunny, shady or a combination of both? Is there good drainage? What plant hardiness zone do I live in? Do I want a flowering tree? A conifer? How tall would I like it to grow? Do I want to be able to eat the fruit from it? And so on. Once you have your answers, you can narrow down the ideal options. Online guides or apps can help you make your final selections. Do I have to prune my trees? Assuming you’re an adult, you don’t have to do anything you don’t want to do. However, for the sake of your investment and the health of your trees, we do advise that you prune them regularly. As a rule of thumb, hardwood trees should be pruned when they are dormant, flowering trees after they’ve finished flowering, and conifers can be pruned anytime but will release less sap when they are dormant. Pruning ensures that flowering or fruiting trees continue to produce and that the shape of the tree is maintained and helps control the size as it grows. Well if I must prune, how do I do it? Call an arborist. Or do it yourself; it’s entirely up to you. Pruning can be a challenging task depending on the size of the tree and amount of pruning that is required so be sure you’re up to the task and can do the job safely before climbing up on the ladder. If it’s a job that requires a hearty cut using a chainsaw, it’s best left to a professional. To begin, assess the tree and note the major branches that make up the overall structure of the tree. These will be left alone. Remove any damaged branches first and then thin out areas where branches have become crossed. This helps maintain space for air and light to circulate. Also, cut away any branches that are growing inward, toward the trunk. The next step is to remove any branches that are causing an obstruction. For instance, the low branches hanging over your walkway that force you to duck under or risk getting swatted in the face each time you pass by. Before you finish, step back and assess the shape of the tree after the work you’ve done to determine if there are any areas that don’t quite look right or branches that stick out and remove those as well. Why does my tree look dead? Brace yourself. It might, in fact, be dead. That said, depending on the type of tree it is and its growing season, it simply might be dormant. 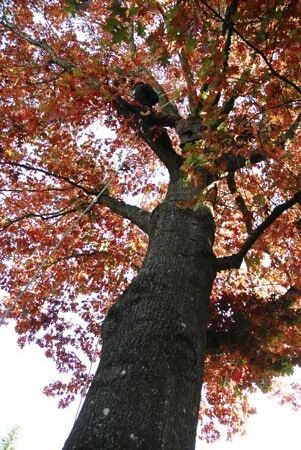 If you’re unsure, your best bet is to have a certified arborist check it out. That way, if it is dead and needs to be removed, you can create a plan before it becomes a hazard. Okay, there it is. Round one of your tree questions answered. Be on the lookout for our next blog post to find even more answer to your burning questions about trees.